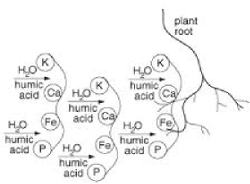 Humic acids are essential components of humic substances, which are the major organic parts of the soil. They are formed by biodegradation of dead organic matter. Humic acid is not a specific acid but a complex mixture of many different acids containing carboxyl groups and phenolic rings. Fulvic acids are similar to humic acids with the difference that they have lower molecular weight and higher oxygen content. 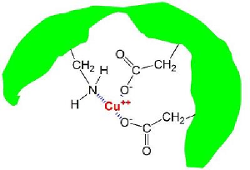 The humates can bind cations such as Cu2+ ,Mg2+ ,Ca2+ ,Fe2+ και Fe3+, forming complexes and affecting their mobility and effects on the environment - plants. These complexes called humic colloids. Colloids then pass through the membranes of plants, and transfer the necessary minerals. Acceleration of the ripening process (about 8-10 days). Help the plants to develop a strong and healthy root system. Increased absorption and assimilation of minerals and nutrients. Improving fruit quality, increasing the level of vitamins, proteins, sugars, etc. Increased yields. The rate of increase is greater in weak and sandy soils. Improving the quality of the spray solution. Increases the resistance of plants to STRESS factors such as drought, frost, transplanting etc. Improves the effect of pesticides when used in conjunction with crop protection chemicals. Biomega is offering humic & fulvic acid in liquid (Oryx L) and powder – flakes form (Oryx Hum). We are able to produce liquid formulations up to 16% or offer you the powder raw material.